While tattooing seems to be a trend, it’s far more than that. 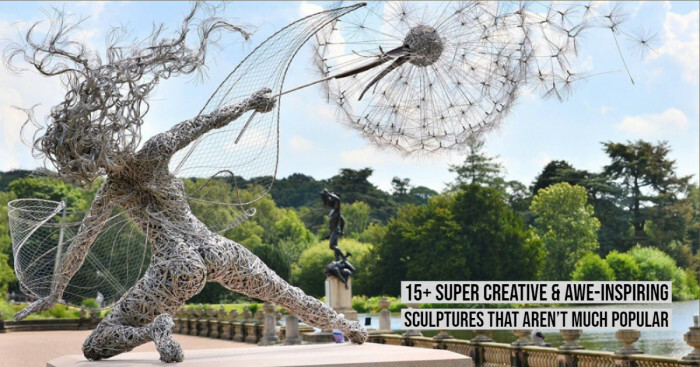 In fact, it’s an art. 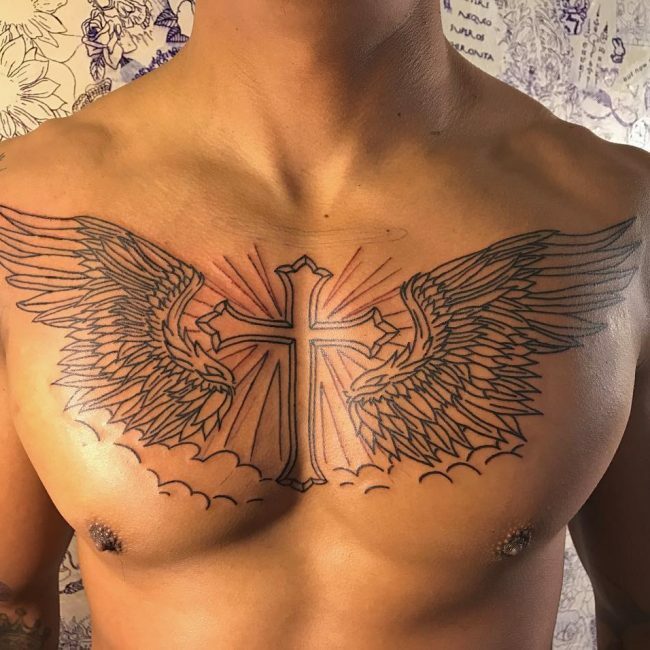 If you are also a tattoo lover and are looking for some of the best chest tattoos for men, then keep scrolling for an exclusive collection of cross tattoos. Over the years, the tattoo practice has witnessed quirky trends. Right from celebs to a common man, tattoos are loved by all. While there are some people who love getting funky tattoos inked, there are some who believe that tattoos are a symbol of being religious. For instance, cross tattoos are majorly believed to be a symbol of Christians. Nowadays, cross tattoo designs are mixed with other designs like roses and butterflies to make them look more beautiful and attractive. Another way you can get cross tattoos on hand inked is by combining the quotes and names in tattoo designs, making them look cooler. There are plenty of reasons to look for cross designs: they look stylish, beautiful and sacred. 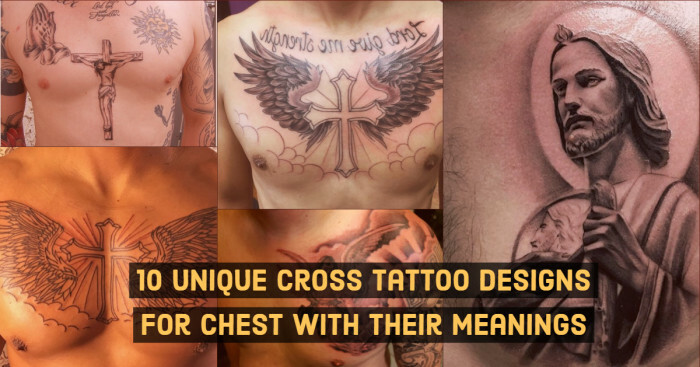 If you are also planning to get a cross tattoo inked on your body and looking for some unique designs, then here is a list of some best chest tattoos for you. 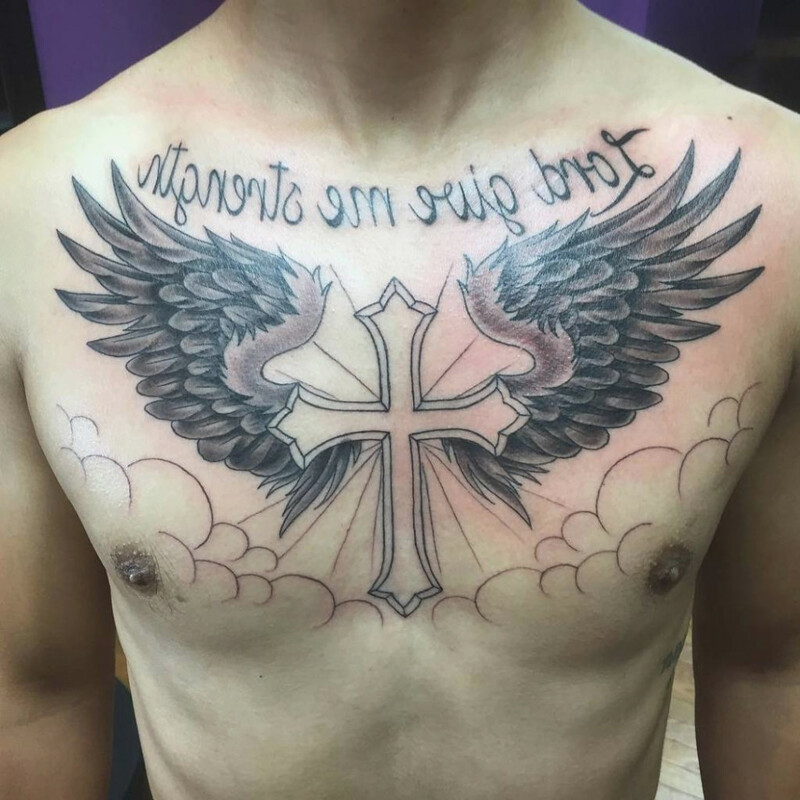 This cross tattoo design encompasses the Trinity – the father, son, and spirit altogether. It has more divine appeal than ordinary cross tattoos. 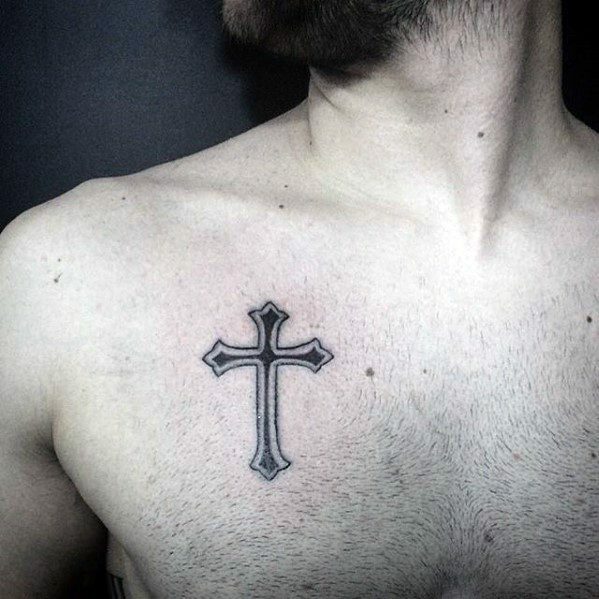 This simple cross tattoo looks exceptionally glamorous when inked on the wrist or on the chest. Simple and beautiful, this cross tattoo bears deep personal and cultural meaning. A crossed finger is a hand gesture that is mostly used to wish luck. It has also been considered as a sign to seek God's protection. 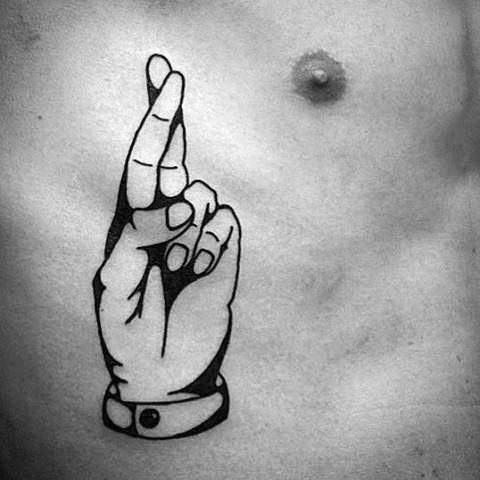 Often inked in white or faded colors, the fingers crossed tattoo is usually worn by one who is wishing his fellow man a good luck and protection. 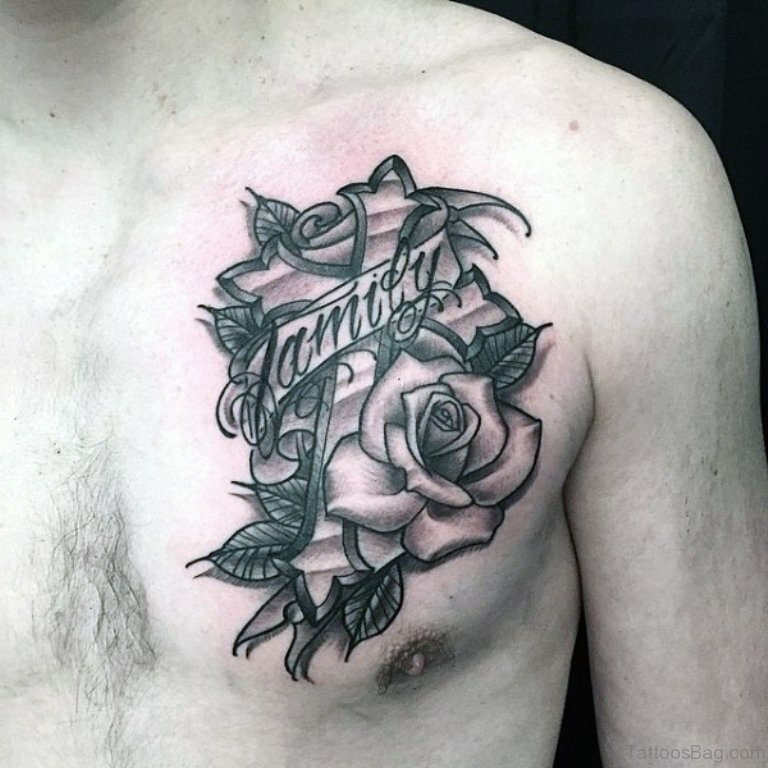 This tattoo looks beautiful when inked on the chest along with other symbols like cross designs and simple heart tattoo. 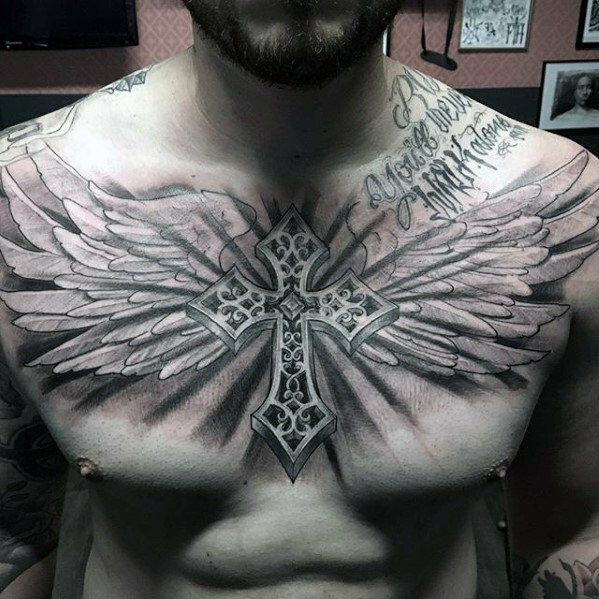 The cross tattoo with feathers is the best chest tattoo for men. The feathered wings of the dove are spread and hug the cross. It looks heavy, and one that has a strong foundation. Adding the name of someone special adds more beauty to it. Cross, either inside or outside, is a timeless symbol with a lot of meaning behind it. This cross tattoo symbolizes the sun and exhibits a diamond within it. The wide cross is designed carefully and made to overlap each other, to form the Celtic cross tattoo. 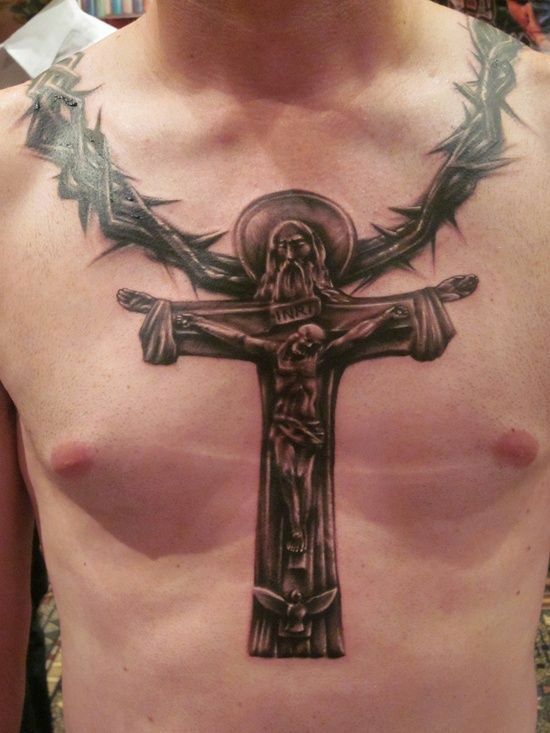 Not all cross tattoo designs are meant for the religious purpose. This sketch portrays the rose and its thorns beautifully wrapped around the cross sign. This tattoo is just a regular design, but it is usually preferred by men over women. 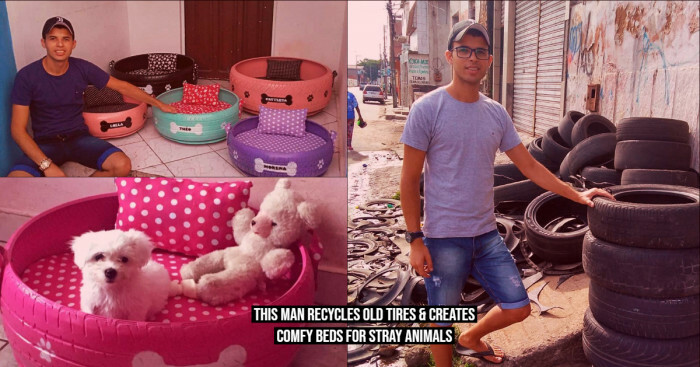 You can also add a quote to give it a personalized touch. 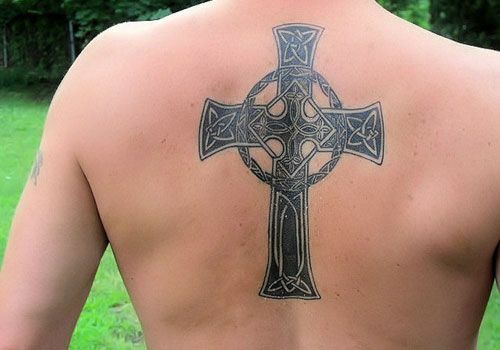 Celtic cross or Irish cross tattoo is mainly recognized by the circle that is designed at the center of the cross. The circle is often black, but some also prefer green in reference to its Irish descent. This Celtic cross depicts faith, balance, honor, and temperance. Earlier, star tattoo was only preferred by girls. However, there’s been a change in the trend, and star tattoo has become a choice of men too. 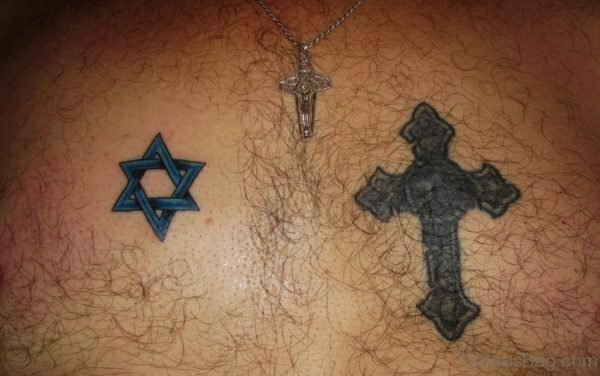 The star tattoo design is now inked with a cross tattoo on the chest. Some also customize the design and add several stars in different sizes from the shoulder down to the elbow. 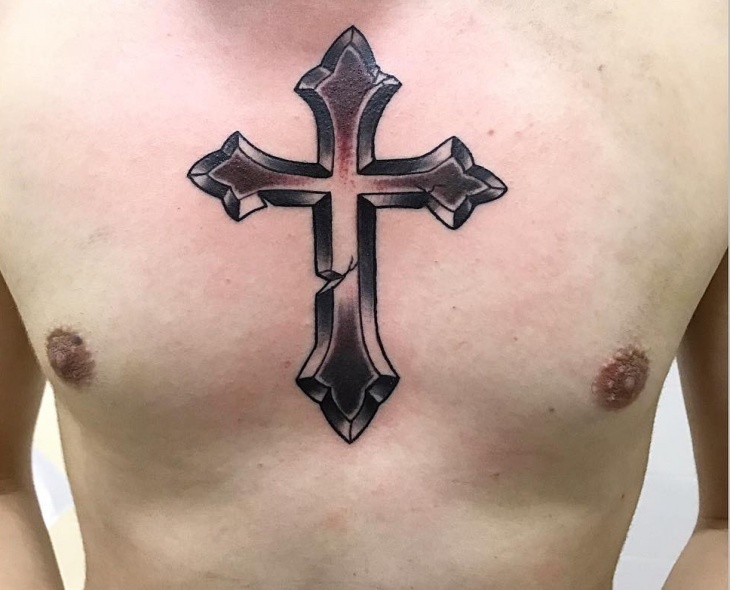 This Symbolic cross tattoo is designed with soft curves and appears slightly raised, giving an impression that it is a single object rather than any painted design. 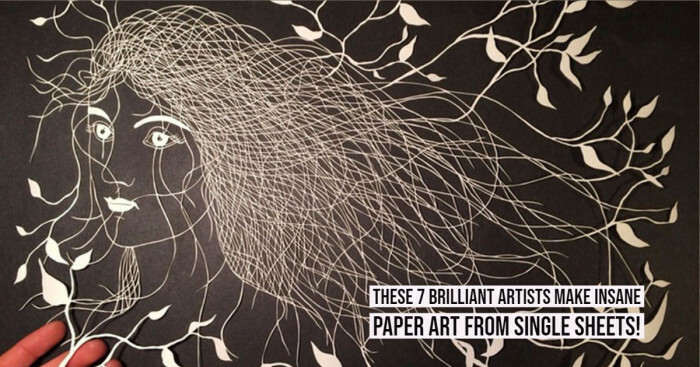 It is inked at the center and looks exceptionally glamorous wheninked with stars or quotes. Winged cross tattoo is the best cross tattoo, especially for men. It exhibits a thick cross symbol with pointy edges, where the wings are stretched and spread out at the back. The wings depict the strength of the eagle wings and motivate you to soar high in the sky .